Shopping for a new Volvo XC60? Start with the T5 Momentum, but you don't have to go far. Even base versions of the XC60 have good standard features. With the new 2018 XC60, Volvo has cached all the XC90’s good data, and trimmed some fat from its code. Volvo builds sublime sedans and best-bar-none wagons. Though it resisted crossover SUVs for a long time, it now makes some true knockouts, like the heavily awarded XC90. 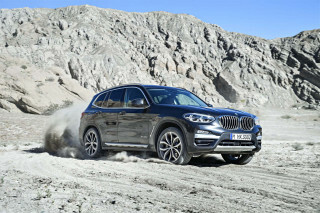 This year, it’s replacing its best-selling vehicle by scaling down the XC90 to two-row, five-seat dimensions. The result, the 2018 Volvo XC60, claws and climbs its way past some worthy rivals, including Jaguar’s F-Pace, the Benz GLC, and the Audi Q5. The XC60’s eye-soothing interior is worth its own highlight reel. Whether it’s awash in driftwood trim or outfitted in natty shades of black (you know, the one), the XC60 cockpit caters to the senses without overwhelming them. The sheet metal takes a less adventurous tack; it’s a flashback to the BMW X3 from many angles. We’ve driven two of the three drivetrains in the XC60—we're looking forward to spending time in the T5 model that's expected to be the highest-volume variant. The mid-level T6 goes about its work with undramatic flair. With standard all-wheel drive and an 8-speed automatic, the 316-horsepower turbocharged and supercharged 4-cylinder emits power evenly across its rev range. With adaptive dampers and three driving modes, the XC60 smothers the road instead of engaging it. The plug-in T8 delivers 400 hp and around 20 miles of electric-only range. It's the strongest of the lineup, but it's not quite sporty—even in R-Design trim. The XC60 puts its biggest markers down on interior space and ambiance. Four adults can take refuge amid its soft leathers and cloud-like wood trim, with less noise than in the XC90. Minor foibles aside, it’s a relaxed and roomy place to enjoy some silence, both aural and visual. Crash-test scores are incomplete, but very good so far. The XC60 can be fitted with surround-view cameras and Volvo’s piloted driving assist. 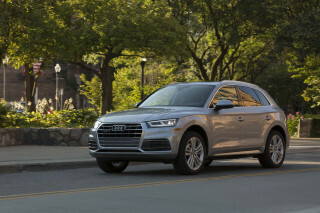 All models have leather, LED headlights, a power tailgate, Apple CarPlay and Android auto, a 9.0-inch portrait-style touchscreen, Bluetooth, and in-car data hardware. Sporty R-Design cars have 19-inch wheels, a digital gauge display, and paddle shift controls; Inscription models have a stitched dash, navigation, and that fabulous driftwood trim. An eye-soothing interior gives the 2018 Volvo XC60 its visual highlight reel. The 2018 XC60 scales down the soothing, minimalist interior of Volvo’s large cars, while it looks to the world of crossover SUVs for exterior cues. Start with the cabin, because it’s the XC60’s strongest suit. The elegant design spares us all the overwrought details and surfaces. Pared down to its essentials–maybe with a strip of achingly on-trend driftwood–the XC60 dash soothes the eyes with bucketfuls of calm. 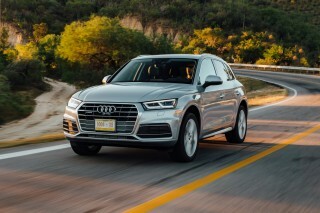 A Q5 seems overwrought in comparison. With its lower console and dash, the XC60 doesn’t have the imposing feel of the XC90 (or its Orrefors crystal shifter). It’s more cozy than that. It’s also one of a handful of interiors to center around a portrait-style touchscreen. It works for McLaren and Tesla, and it works here to set the XC60 apart from its logically impaired rivals. Step outside the cabin, and the XC60 slips back into the mainstream. It avoids the tall, bluff stance of the XC90, though it shares its slim hammer-style LED headlights. 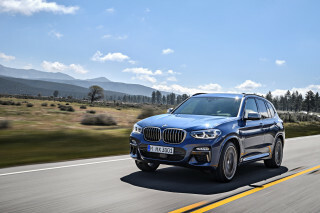 Instead it plants itself alongside the BMW X3 with a shoulder line that flips upward at the tail, with the rising wedge outline of the body. Volvo pulls out every visual trick to make the XC60 seem tall, from its high grille to the roof-to-waist taillights that angle inward across the liftgate. The 2018 XC60 goes about its work with undramatic flair. Volvos hail from snow and ice. It seems to influence their driving responses. The XC60 drives perfectly cool to the touch. The XC60 will offer the same powertrains as the larger, heavier XC90. 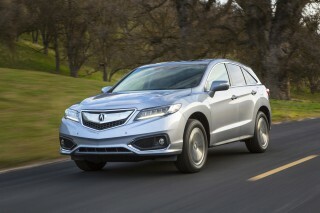 For the 2018 model year, it will also come only with an 8-speed automatic and all-wheel drive. A 250-horsepower 2.0-liter turbo-4 occupies the engine bay in the XC60 T5. It should accelerate to 60 mph in 6.4 seconds, on its way to a 140-mph top speed. Arriving late to the party is the T8 plug-in hybrid. It teams the turbo-4 with an electric motor and a 10.4-kw battery pack in a hybrid system that puts out 400 hp net. Despite its chunky curb weight of 4,599 pounds, Volvo claims it will hit 60 mph in 4.9 seconds, which feels credible. The engine is smooth and delivers a nearly seamless transition between gas engine and electric motor. After a full charge, it's good for 20 miles of electric range. The downside, however, is that the T8's regenerative brakes that help charge its lithium-ion battery suffer from a spongy, less-than-natural feel. Our first drive of the 2018 XC60 came in a T6 model, which should account for far more sales than the T8 (although the base T5 should be the best seller of the bunch). 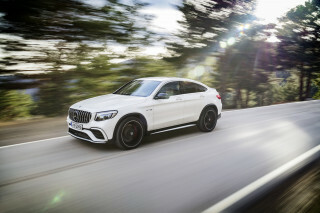 It’s a 2.0-liter inline-4 outfitted with turbocharging and supercharging, for a total of 316 hp. Weighing in at 4,054 pounds, it turns in 60-mph times of 5.6 seconds and a top speed of 140 mph. Thanks to improved body structure and sound damping, it’s less thrummy here than in the XC90, less noticeably a small-displacement engine. The drivetrain manages its power ruthlessly, using all-wheel drive and the transmission to snuff out wheelspin. From a standstill, the XC60 sends power to all four wheels for smoother application of power. Most of the time it sends most of its power to the front wheels, but can send half of the available torque to the rear wheels when traction needs arise. The combination of smart all-wheel-drive programming and a well-sorted transmission is a certain undramatic flair. The turbo-4 finds its groove early on the tach, the transmission doles it out in discrete little bundles, no matter which of its three driving modes the driver selects. Economy mode slows out shifts and throttle, while Dynamic boosts its responses to well short of jittery. Comfort lies in the middle, while off-road and individual modes build on those three basic setups. Drive modes also influence all but the base suspension, with its steel double-wishbone setup in front, and integral-link and transverse leaf spring rear. Their responses are set in, well, steel. Volvo sells adaptive dampers and air springs, and they equipped our test car with this setup. Typical of this setup, the air suspension can lower itself at speed for better aerodynamics or raise itself for better off-road clearance. Economy cuts boost to the air dampers and the steering, so the XC60’s ride gets less flexible and its steering grows some resistance. The default comfort mode delivers creamy control and files down most of the sensation from the steering. Dynamic mode blips everything with electronic stimulations, and shuts off the built-in stop/start. When it’s selected on a T6 AWD with upsized 20-inch wheels, it adds some welcome heft to the steering that helps it track better down smooth roads. For brief passages on unpaved trails at speeds below 25 mph, the XC60’s off-road mode engages hill descent control, dials up the steering assist, and slows out throttle and shifts. T8 plug-in hybrids get their own modes that conserve battery power or set the engine to charge the batteries. Put aside the great seats and space for a moment, and soak up the Volvo XC60’s exceptionally serene cabin. The 2018 XC60 doesn’t merely downsize Volvo’s bigger XC90 SUV. It reshapes the interior for more of a cocoon effect. It still delivers a wonderful ambiance and well-appointed space. At 184.6 inches long, on a 112.8-inch wheelbase, the new XC60 is almost 5 inches shorter than the XC90. At 65.3 inches tall, it’s about two inches lower to the ground. Conversely it’s 3.6 inches longer in wheelbase and 1.8 inches longer overall than its direct predecessor. Volvo tucks the front passengers deeply into pocketed seats composed of many well-padded sections, adjustable with power assist. The side glass tilts in more toward them, while the center console sits lower and lays back more than in the XC90. Altogether it gives the XC60 a more intimate feel, one that’s amplified with the serene absence of confusing knobs and buttons–and in our test car, a snowy-gray driftwood trim. Behind the driver and front passenger, 6-footers can fit with plenty of knee room and head room, even with a standard panoramic roof. The XC60 can seat a third adult in the middle of the back bench for short rides, or a trio of car seats. A regularly shaped cargo area measuring 29.7 cubic feet hides behind the standard power tailgate. Fold down the rear seats, and the cargo bin expands to 68.7 cubic feet. If anything, the impression of quality is higher in base XC60 crossovers than in base XC90s. The powertrain kicks up less of a noisy fuss. We noted some sharp-edged speaker grilles and a hard glovebox door among the XC60’s very minor flaws. The 2018 XC60 earns excellent crash-test scores from the IIHS. The NHTSA hasn't crash-tested the XC60 yet, but the IIHS has—and it has good news to report. The IIHS says the XC60 earns "Good" scores in all its crash tests. Its accident-avoidance systems are rated "Superior," while its optional headlights on Advance-package cars are deemed "Acceptable." That's good for a Top Safety Pick award. For the Top Safety Pick+ award, the XC60 must be tested for small-overlap front passenger protection. This year, all-wheel drive is among the XC60’s standard equipment, along with forward-collision warnings with automatic emergency braking. That system will amplify driver steering inputs between 31 and 62 mph if sensors and cameras detect an approaching obstacle. If the same gear detects an unplanned road departure, it will brake and steer to try to avoid it. Blind-spot monitors are an option. They can help the driver steer to avoid a car approaching from the rear or already occupying a lane the driver wants to move into. Surround-view cameras also are an option. The Volvo XC60 packages great luxury features in every model, but advanced safety and sound come only at the top end of the price spectrum. The Volvo XC60 comes in three trim levels, each of which can be paired with one of its three drivetrains. Even base Momentum versions of the XC60 come with a well-populated list of features. 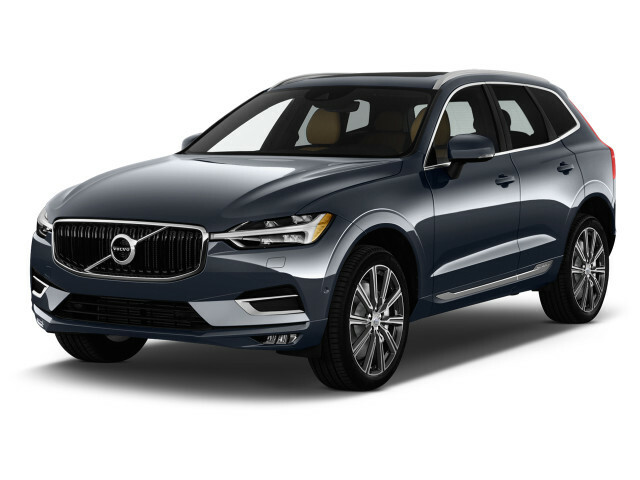 For $42,495, the XC60 T5 Momentum offers standard power features, power front seats, leather, LED headlights, keyless ignition, 18-inch wheels, three drive modes, a 9.0-inch infotainment interface, 10-speaker audio, Android Auto and Apple CarPlay, 4G LTE connectivity, Bluetooth with audio streaming, a power tailgate, and a rearview camera. The XC60 T5 R-Design carries a base price of $45,795 when equipped with the turbo-4. 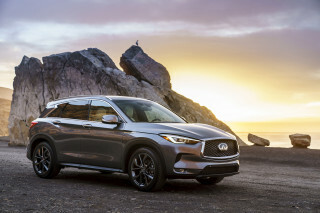 Above the Momentum gear, it gains sport seats, a black mesh grille, a hands-free tailgate, a 12.3-inch digital display that replaces the standard gauges, 19-inch wheels, navigation, and paddle shift controls (it’s the only model to get them). On the $46,295 XC60 T5 Inscription, Volvo adds a stitched dash, driftwood trim, 19-inch wheels, navigation, and four-zone climate control. The Momentum T6 turbo- and supercharged-6 beings at $45,895; it’s $49,915 for the T6 R-Design and $49,695 for the T6 Inscription. The XC60 T8 plug-in hybrid begins at $53,895 in Momentum trim; it’s $57,195 for the R-Design package, and $57,695 for the Inscription gear. Volvo bundles other features into four trim packages. A safety setup adds Pilot Assist, surround-view cameras, parking sensors, a head-up display, front and rear heated seats, and ventilated seats. Other options include a 15-speaker, 1,100-watt Bowers & Wilkins sound system, the air suspension, 19- and 20-inch wheels, and metallic paint. Twenty-one-inch summer tires can be fitted to the R-Design. Volvo’s Sensus infotainment system gets a colorful revision, with new home-screen tiles. Some of its icons have been relocated for better visibility. The 9.0-inch portrait-style screen still is a favorite of ours; like the one in the Tesla Model S and Model X, it makes eminent sense, especially with navigation. The 2018 XC60 fares OK in gas mileage, but non-hybrids rank lower than bigger Volvos. The 2018 Volvo XC60 earns fair fuel economy ratings for its size, but Volvo's own V90 can do better. 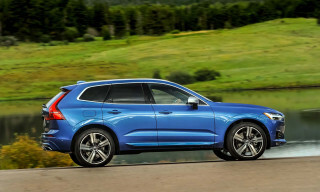 The EPA rates the XC60 T5—with a turbo-4 and front-wheel drive—at 22 mpg city, 28 highway, 24 combined. With supercharging and all-wheel drive, the XC60 T6 earns ratings of 21/27/23 mpg. The XC60 T8 plug-in hybrid is scored at 59 MPGe or 26 mpg combined. Looking for a different year of the Volvo XC60?